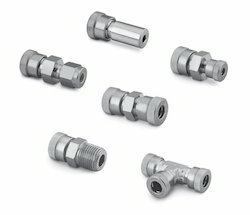 Our product range includes a wide range of pipe fittings, ss tube fittings, ss weld fittings and ss vacuum fitting. With our decade of experience, we are catering to the varied requirements of our clients by introducing quality array of Pipe Fittings. Our adept professionals manufacture these fittings using superior quality raw material and the latest technology in line with industry norms. In addition to this, the offered fittings are designed in different sizes and designs, keeping in mind various demands of our client's. 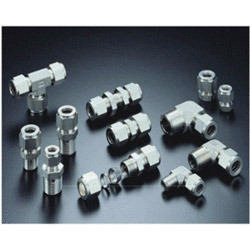 Assisted by creative bent of mind, we are presenting the most attractive range of SS Tube Fittings. Being sensitive to our customers’ requirement, we have used quality tested raw material and advanced technology in manufacturing these tube fittings. 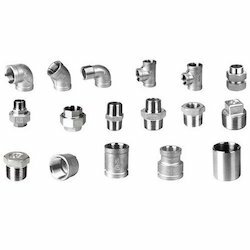 Moreover, these tube fittings are available for the clients in variegated sizes, shapes and specifications. Clients can avail these tube fittings from us at pocket friendly prices. Banking on our skilled professionals, we are engaged in manufacturing, exporting, wholesaling and supplying SS Vacuum Fitting. In tune with the customers’ requirements, our adept professional utilizes superior quality stainless steel and modern technology in manufacturing this vacuum fitting. Due to its feature like high strength and compact design, our vacuum fitting is widely demanded. Moreover, this vacuum fitting is highly appreciated in the market for its various quality features.